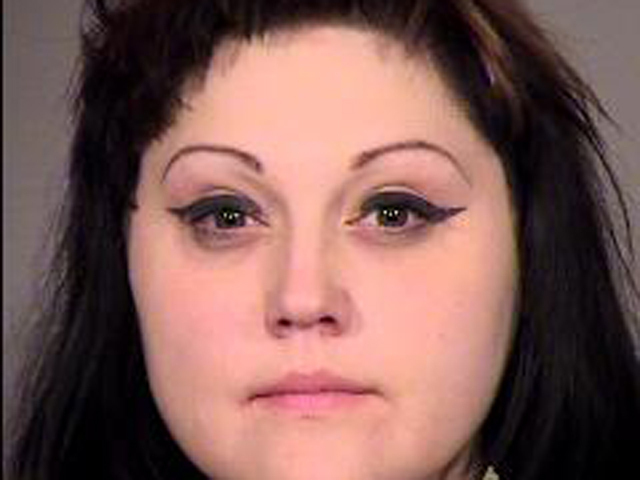 Beth Ditto, lead singer of the band Gossip, was arrested for disorderly conduct outside a bar in Portland, Ore., according to police. Sgt. Pete Simpson says Ditto was in the middle of a North Portland street yelling at motorists early Saturday. He says she was moving with her arms outstretched "like an airplane." The 32-year-old Portland woman, whose real name is Mary Beth Patterson, was booked into jail and released on her own recognizance. The Oregonian reports that if convicted, Ditto faces a maximum sentence of six months in jail and a $2,500 fine. Ditto's arrest was first reported by Willamette Week. A source told the paper that after Ditto was denied service at the Bungalow Bar because she appeared to be inebriated, she "walked out in the middle of the street, threw off her shoes and purse and screamed OBAMA! OBAMA!" Gossip is a dance-punk band that formed in Olympia, Wash., in the late 1990s. Its most recent album, "A Joyful Noise," was released in May 2012.